Posted byMei 6 August, 2012 6 August, 2012 Leave a comment on 53 of the 101 things that Moms with Eczema Child do Differently – Summer or Winter Holiday? 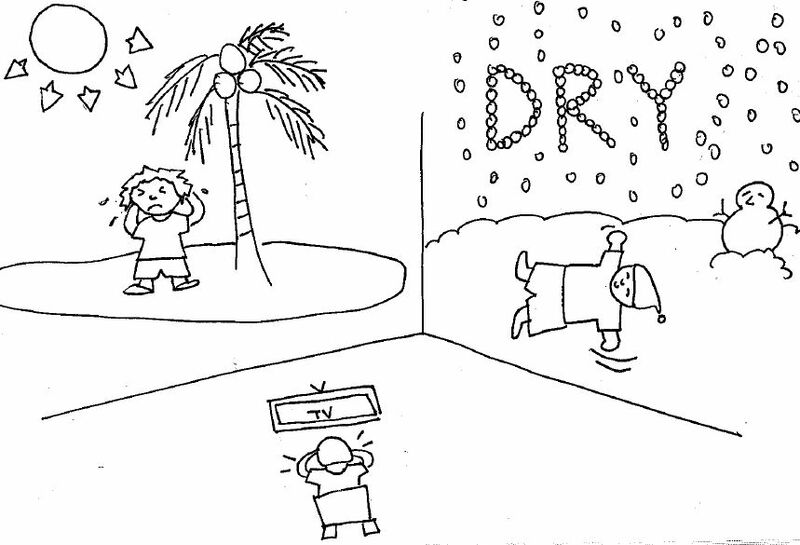 Sunny island holiday may be too hot while a winter holiday may be too dry for her skin. Best to stay at home and watch TV? Even then she’s scratching! This is the 53rd of my “101 Things that Moms with Eczema Child Do Differently“, a tongue-in-cheek look at the many unique situations that we face. For more cartoons, click here to view.